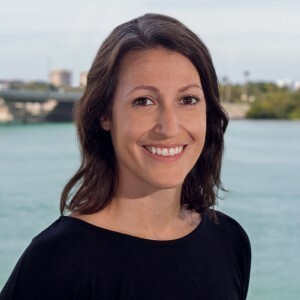 Gina Santoianni joined Mote’s Education team as a Marine Science Educator in 2010. Currently the Student Engagement Coordinator, she manages the College Internship Program and First Year High School Internship Program. Before joining Mote Marine Laboratory, Gina had been an environmental educator for 3 years and worked throughout Georgia, Washington and Florida. She enjoys connecting students with hands-on learning opportunities, and appreciates working with the next generation of scientists, educators, and animal care specialists.